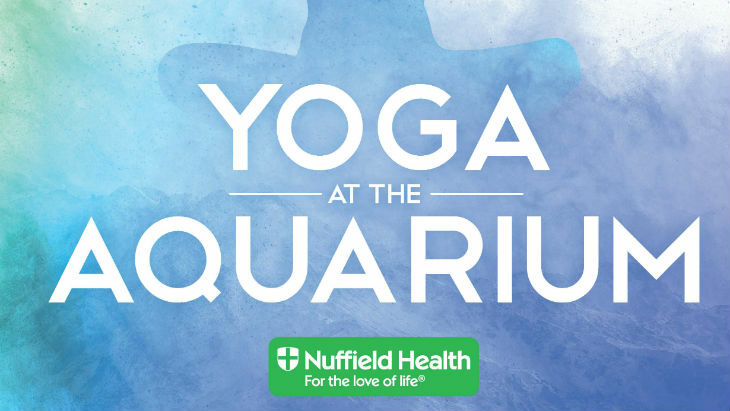 This month, we’re partnering with Nuffield Health Plymouth Fitness and Welbeing Gym once again for a yoga at the Aquarium evening event. For just £5, visit the Aquarium after-hours and try something brand new this soothing experience. Calm your mind, body and soul and alleviate the stressors of daily life, whilst doing some exercise. 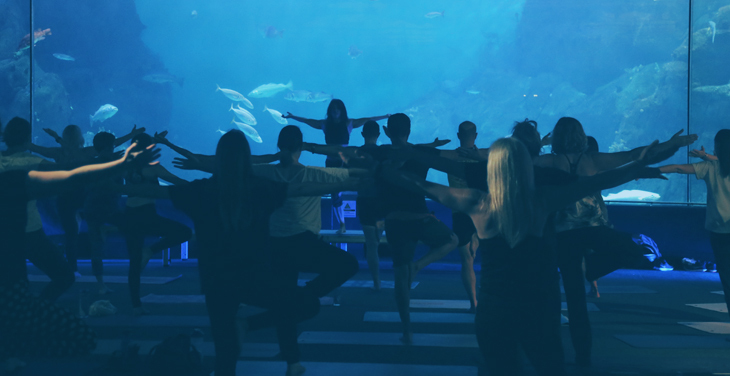 No experience is necessary, so it’s perfect if you’re willing to try something new or have been to plenty of yoga classes before – all are welcome to take part in this one-hour session. There’s no better way to experience serenity than with a backdrop which features the single largest viewing panel in the UK. Our Eddystone reef exhibit is an enormous tank filled with species from our local waters. Our research has shown that visiting public aquaria helps with relaxation so what better way to escape than to join in with this session. This is an over 16’s event, with all abilities welcome. The event runs from 6-7pm on the 19th of November. Tickets are only £5 and can be booked here.